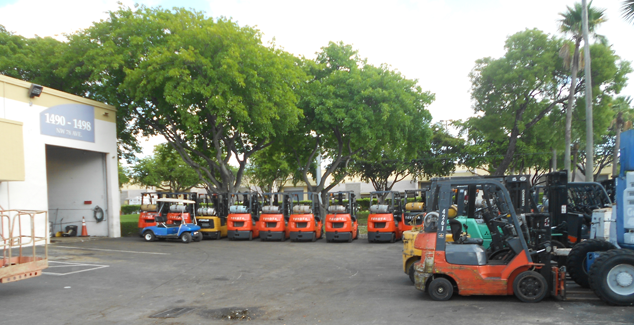 Welcome to M & J Lifts Inc.
Forklift Miami – We are a worldwide supplier of used forklifts and material handling equipment. We buy, sell, store, inspect, appraise and refurbish all makes and models of used material handling equipment. Lease options are also available, from one week to one year, on over 200 forklifts in inventory. What capacity your Forklift Miami will need to have. The maximum height that your Forklift Miami is going to be.